Our flat mop buckets are available as part of our mopping systems, providing a modern cleaning product for your work environment. 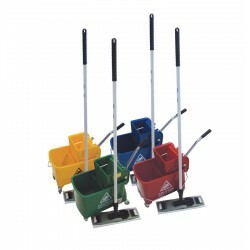 Available in a variety of colours as part of a colour coded cleaning system, they are a great solution to complete your mopping system. 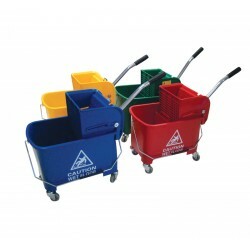 High quality flat mop buckets can be found here.